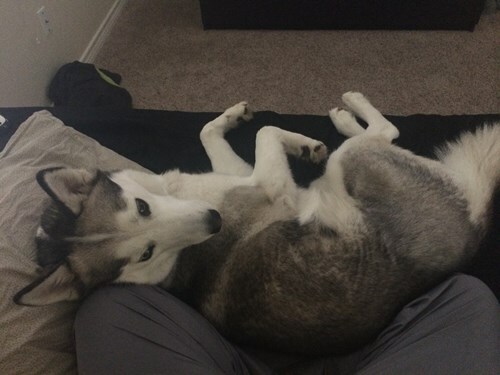 Shakira is a black,gray and white Husky. She is 8 years old. She is very friendly and vocal. She is on a special diet and is a service dog. If you see her please call 866-699-3463!